I find it funny how people can’t believe my ex husband and I are friends and get along really well. I still count my ex husband as one of my best friends and we can always talk to each other about nearly anything, even after being separated for two years. We are also there for each other when needed. Some people have told me that we shouldn’t be friends because ‘it isn’t right’. Why isn’t it ‘right’? I am sure there are a lot of divorced couples around who are still friendly or at the very least, civil to each other. Isn’t it better for the children to see their parents getting along? We both have respective partners and happy in those relationships. We have no interest in reliving the past but people think it is odd that we get along so well. I think most people are of the opinion that all separated and divorced couples should be hateful of the other but for me that was never the case. 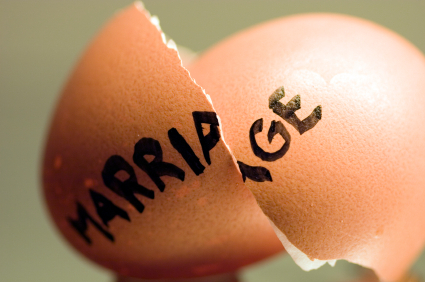 When my husband and I separated, we split amicably. We both agreed that it wasn’t working and it would be best if we split up. Our property division was easy and we agreed on shared care of the boys. One night on, one night off. For the last eighteen months, this has worked really well and I think the boys have dealt with the separation well because of it. We make joint decisions on behalf of our children’s needs and wants. We also don’t let the children play one parent against the other (a common thing with children of divorce), as we have open communication regarding the kids. It is the same with discipline. If one of the boys are playing up for one parent (usually me), the other parent backs them up and reinforces the message with the child that it is not suitable behaviour with them either. For example, say Mr 8 did something wrong and was banned from all computer/ gaming systems for a certain time frame. The ban would be across both parents houses, not just one. If there are any problems with the children, like with school etc, we deal with it together. I know a lot of couples don’t get along after a separation due to hurt and/ or resentment. I could think of nothing worse than going through a messy divorce and making lawyers/ solicitors richer. One thing that does worry me is the amount of males and females who use their children as a weapon in divorce. Children are NOT a bargaining tool or a tool to ‘get back’ at your ex. The only person or people you are hurting is your child/children. It amazes me how many people don’t understand that. I’m sure the other partner has moved on with their life and doesn’t really care about your antics. I know with my first husband, he did this with our son (who is now nearly 18 and doesn’t want anything to do with his father, but that’s another story in itself). His father used to bad mouth me all the time and not show up for access pick up. It did nothing to hurt me, it only affected our son. I also know of a friend of mine who’s father had custody of my friend and wouldn’t let the mother have anything to do with him. She sent letters, tried to ring, tried to see him but the father would not have a bar of it. The son grew up thinking his Mum didn’t care about him and didn’t want anything to do with him. He has since found out that his mother did in fact care and tried to contact him and they have a relationship. He now has a strained relationship with his father, as my friend holds resentment toward his father for not letting his mother have anything to do with him. He also has bad depression and can’t hold down a job. He dropped out of school to become a car detailer and that is what he has been since. He is now 41 and what has he go to show for his life except hurt and resentment from the way his parents dealt their their divorce and custody? It’s sad really that parents don’t think of the long term affect on their children, the children’s needs and welfare should be paramount, not their own selfish needs for self validation and revenge. What are you thoughts on this? I totally get this! My ex and I, after some rough times initially, get along really well. This year he will be having Xmas with my family so that he can spend the day with our little boy. My ex doesn’t have family here and at present neither of us are in other relationships so we figured that it was easier to do it this way. I know some people think it’s weird but it works for us.